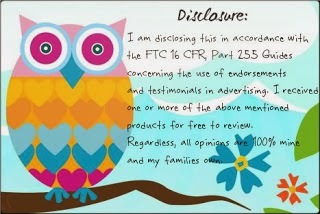 Does your family enjoy being in the outdoors? I know mine sure does and it's a year round thing as well. We love taking the kids hiking and fishing in the summer and come fall early winter my husband, father in law and dad all enjoy hunting. 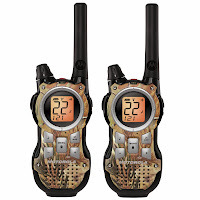 With that said I would like to tell you about a great set of two way radios that I received to review from Motorola. 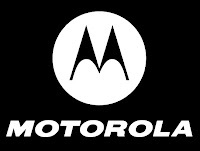 I received the Motorola Talkabout MS355R Radios for my husband to review. Him and the kids were having so much fun with these radios. My father in law has also taken them with him out in the woods while getting things ready for hunting season. We really like all the great features that these radios have to offer compared to others that are out on the market currently. Waterproof - It's IP-67 standard can withstand constant submersion of up to 1m for 30 minutes and repeals the heaviest of rain drops. It Floats - the radios float and are visible on the waters surface and can be used right after being taken out of the water. With all the great functions of this radio set it's no wonder all the guys in my family have fallen in love with it. My boys alone want to always go out in the woods exploring at my in-laws and now having the radio set it helps us easily keep in touch while they are out exploring and having guy time with Papa and Daddy. 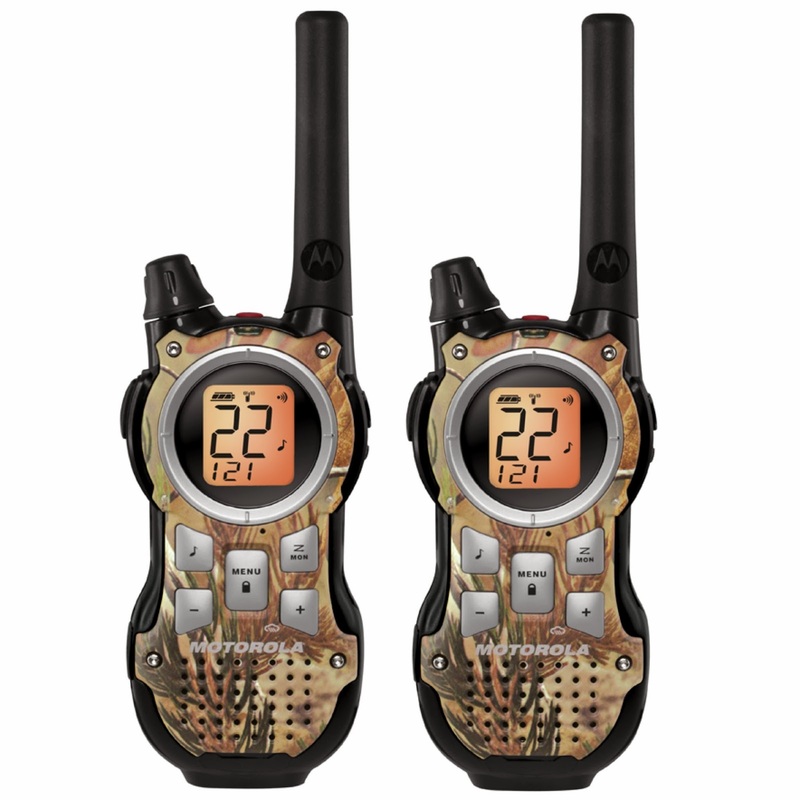 These radios would make the perfect gift for anyone in your family that is adventurous and likes to be outdoors. I would make sure you stop by the Motorola website and check them out today!